Valente Law provides comprehensive estate planning services for clients in Cleveland, Akron, Canton, Medina and surrounding areas. We represent clients in all aspects of their estate planning. As a Cleveland Will Lawyer and Cleveland Trust Lawyer, we design, draft and execute Wills and Trusts to handle our clients’ assets and healthcare documents, including health care power of attorney forms, living wills, HIPAA authorizations and other healthcare related documents to cover any medical emergency. Eric Valente is a Will lawyer and Trust lawyer. Valente Law provides estate planning solutions to achieve top notch estate planning protection. We represent simple estates that may only require a will and healthcare documents to achieve the estate planning objective, but we regularly represent high net worth clients in need of more complex estate planning with advanced trusts. Our estate planning solutions commonly include Revocable Living Trusts, Irrevocable Trusts, and many more complex estate planning devices. Most of our estate plans include one or more power of attorney documents, and many additional estate planning related documents. We assist clients all around the greater Cleveland, Akron areas in an on-going basis and counsel our clients in implementing their estate plan, Will and Trust funding to ensure there is asset protection for their wealth. Commonly, we update Trusts, Wills and healthcare documents for clients as their circumstances change and as estate tax treatment changes. We advise Ohio Trustees so they can perform their fiduciary dutie as Trustee without unnecessary stress or worry. Additionally, if required we act as the Trustee of our clients’ Trusts so that we can ensure it is administered according to their intent. Upon the death of a loved one, we assist successor Trustees in settling the trust and distributing trust funds and trust property to the beneficiaries, and preparing and filing an estate tax return. We work with our clients’ accountants and financial advisers to coordinate all aspects of the estate plan. As an estate planning lawyer using Wills and Trusts, Valente Law saves clients money on estate taxes, probate court costs and eliminates the stress and potential risks associated with strategic planning. This page is our main summary of estate planning topics regarding Wills and Trusts. We have many related articles on estate planning, Wills and Trusts on our Estate Planning, Probate and Business Law Blog. Estate planning using Wills and Trusts is one of Valente Law’s main focuses. Valente Law’s founding member, Eric Valente, is an estate planning attorney in the Cleveland, Akron area of Ohio. We work with estate planning clients all over the greater Cleveland, Ohio and Akron, Ohio area. If you have any questions regarding these materials, please contact us! The best estate planning includes planning for your wealth, assets and other property and financial matters. Estate planning includes planning for how your assets will be distributed upon your incapacity and death. Estate planning allows you to distribute your personal property, such as jewelry or family heirlooms to specific people. If you are a business owner, estate planning can include planning for the management or sale of your business upon your incapacity or death. Will and Trust planning includes planning to minimize income taxes, estate taxes, gift taxes, court costs, accounting fees and other costs and expenses. Comprehensive estate planning with Wills an Trusts includes planning for your future medical needs. 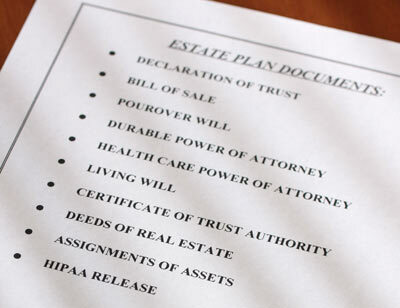 Estate planning typically includes a Health Care Power of Attorney. A Health Care Power of Attorney is a document used to give authority to someone to make medical decisions for you. Estate plans also typically includes a Living Will. A Living Will is a document in which you direct doctors and hospitals to take you off of life support if you are terminally ill and permanently unconscious and you have zero chance of recovery. Estate plans usually also include HIPAA authorization. HIPAA authorizations allow someone to obtain your medical information for you. Our estate planning with Wills and Trusts includes planning for the future care of your family. Estate planning includes making sure your spouse, children and other loved ones have the resources and support they will need if you pass away. Will and Trust based estate planning includes appointing Guardians to take care of your minor children if you were ever unable to care for them. Allowing your family to assist you when you need it is another aspect of Will and Trust based estate planning . Planning your estate with Wills and Trusts will also simplify and reduce a lot of the stress involved in handling the technical and legal requirements loss of a loved one. Avoiding probate through estate planning with a trust is a great way to increase the convenience, efficiency and speed, and meanwhile, save a lot of money by avoiding the costs and fees of probate estates. By using a Revocable Living Trust as the backbone of your estate plan, you can avoid probate. Because you are using a Trust to avoid probate, you will save money on expensive court costs, professional fees, and make the process much simpler and efficient for your family. Trust based estate planning includes asset protection planning. Asset protection planning includes setting up Asset Protection Trusts, such as the Domestic Asset Protection Trust authorized by the Ohio Legacy Trust Act, specifically known as Ohio Legacy Trusts. Planning to protect assets also includes using business entities to shield your personal estate from business liabilities. Asset protection should be considered for all individuals with careers that have a tendency to bring litigation and lawsuits, including doctors, builders, contractors, attorneys. All extremely high net worth individuals should consider using asset protection to protect at least a portion of their wealth. Estate planning with Wills and Trusts includes planning for convenience, flexibility, additional control over your life and wealth and other benefits. Estate planning includes planning for the sake of future convenience. Also, estate planning will result in additional flexibility in future unknown situations. Estate planning allows you to exert more control over yourself and your wealth. There are many things to consider when designing an estate plan, and here is a list of some of the most important estate planning considerations. One major consideration in estate planning is Estate Tax. Estate tax is a tax applied to assets transferred upon someone’s death. The Federal Estate Tax is a 40% tax rate applied to all assets over $5.49 million, which is known as the Estate Tax Exemption (numbers current as of 2017, but subject to change). Ohio does not have an estate tax at this time. Estate planning can minimize, and in many circumstances, totally avoid all estate tax. Here is more information on Estate Taxes. Another major tax consideration in estate planning, especially for high net worth individuals, is Gift Tax. Gift Tax is a tax applied to all gifts from any one person to any other person that exceeds, in the aggregate amount, $14,000, which is called the Gift Tax Exemption. Spouses can each gift $14,000 per year, tax free, so a married couple can gift $28,000 total to any person. By using the gift tax exemption, you can gift significant wealth out of your estate during your life to help reduce the taxable estate upon your death as a means to reduce estate tax. Here is more information regarding Gift Tax. Another important factor in estate planning with Wills and Trusts is Medicaid. Medicaid is a government assistance program to provide funds for nursing home care for people of limited means. 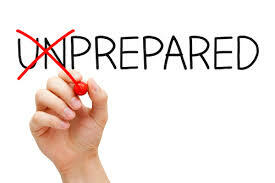 Planning for Medicaid includes advanced planning to ensure you are able to obtain Medicaid resources if necessary. Medicaid is a very important and complex estate planning topic. You can find more information on the Ohio Department of Medicaid website. Depending on you and your spouse’s net worth, you may have to “spend down” to become eligible for Medicaid assistance. Medicaid has a 5 year look back period to determine you qualify for Medicaid assistance. If within the 5 year look back period you have made gifts or made any transfers of property without receiving fair market value payment, then you will not be eligible for Medicaid assistance. Your ineligibility will last for a period of time equal to the duration of nursing home and medical care that the gifts or transfers you made would have paid for if you had those funds available to use for your medical care. This is called the Penalty Period. You can cure your ineligibility and reduce the Penalty Period by reversing the gifts and getting the gifted property back from the recipient of the gift. Medicaid spend down refers to the process through which an individual or married couple reduces their net worth to qualify for Medicaid assistance. Eligibility for Medicaid is determined based on the individual or the couple’s net worth. For a couple, Medicaid spend down will normally require that the countable assets of the couple must be reduced by half. However, there is a Medicaid spend down “floor” and “ceiling” of $23,000 and $119,220, respectively. If you are required to spend down your assets before becoming eligible for Medicaid assistance, there are certain preferred ways to do so. You will want to become eligible as soon as possible, while spending as little of your own assets on nursing care before you are eligible. Also, you can’t transfer your assets as gifts to anyone, but you can strategically spend it on things that solely benefit you, your spouse and your children. For instance, things like home repairs, paying down a mortgage, pre-paid burial contracts would all be permissible. Probate Court is another major estate planning consideration. Each county in Ohio has its own Probate Court. Cuyahoga County Probate Court, Summit County Probate Court, Medina County Probate Court, Lorain County Probate Court have jurisdiction over the probate estate of decedent’s residing in their geographical bounds. Probate estate administration is regulated by Ohio Revised Code Title 21. The objective of probate estate administration is to identify all of the assets of the Decedent, then pay all of the decedent’s debts and taxes, and distribute the remaining assets to the heirs. Each probate estate is managed by a probate estate executor. The probate estate executor must comply with the rules of the Probate Court and submit a number of technical, legal forms. Probate estate administration is problematic for many reasons, which makes probate avoidance a major goal of estate planning. These problems include the slow process, expensive court costs, executor fees, attorney fees, totally public process, having to drive downtown and find parking, having to miss work to attend probate estate hearing. Luckily, with a Revocable Living Trust, you can avoid probate. Serves the following cities: Akron, Barberton, Cuyahoga Falls, Fairlawn, Green, Hudson, Macedonia, Munroe Falls, New Franklin, Norton, Stow, Tallmadge and Twinsburg. Serves the following cities: Bay Village, Beachwood, Bedford, Bedford Heights, Berea, Brecksville, Broadview Heights, Brooklyn, Brook Park, Cleveland, Cleveland Heights, East Cleveland, Euclid, Fairview Park, Garfield Heights, Highland Heights, Independence, Lakewood, Lyndhurst, Maple Heights, Mayfield Heights, Middleburg Heights, North Olmsted, North Royalton, Olmsted Falls, Parma, Parma Heights, Pepper Pike, Richmond Heights, Rocky River, Seven Hills, Shaker Heights, Solon, South Euclid, Strongsville, University Heights, Warrensville Heights, and Westlake. Serves the following cities: Amherst, Avon, Avon Lake, Elyria, Lorain, North Ridgeville, Oberlin, Sheffield Lake and Vermilion. Serves the following cities: Brunswick, Medina and Wadsworth. 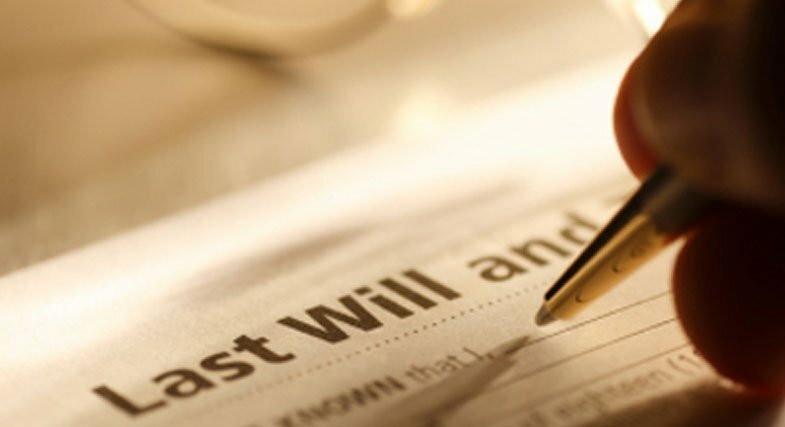 A Will is a component of every estate plan. A Will does not avoid probate. . If a Will is used in a Trust based estate plan, the Will is normally referred to as a “Pour Over Will” because it “pours” the Decedent’s estate into the Trust. The main purpose of a will is to specify who should act as your probate estate executor, who is to get your assets, and appoint Guardians for your minor children. Another main purpose of every Will is to control the disposition of assets which are included in the probate estate. Additionally, another important part of a Will is the ability to provide direction as to how you want to be buried or any other specific funeral arrangements. All Wills must be signed at the end, and witness by 2 uninterested adults. Wills are governed by the Ohio Revised Code Chapter 2107. Revocable Living Trusts should be a part of everyone’s estate plan, but unfortunately many clients choose not to use a Revocable Living Trust in their estate plan. A Revocable Living Trust is a type of trust where a Trustmaker transfers his or her assets to a Trustee, and the Trustee hold the trust assets for the benefit of the Trust. Trusts are governed by Ohio Revised Code Title 58. The first step in setting up a Trust is designing it. You need to determine who will act as Trustee, who will be the beneficiaries, when the beneficiaries should get the trust assets. After the trust is designed, your estate planning attorney will draft the Trust. Then, you will sign the trust. After designing the trust structure and signing the trust agreement, you need to fund the Trust. Funding the trust is an extremely important process because only assets retitled into the Trust will be controlled and protected by the Trust. After designing and signing the Trust Agreement, the Trustmaker must fund the Trust with the Trustmaker’s property. This trust funding is done in many different ways, due to the different types of assets. Real estate is funded into the Trust by signing a Deed. There are many types of deeds, Quit Claim Deeds are commonly used in Ohio to transfer real estate to a Trust. Bank accounts and financial investment accounts must be retitled to the Trust. Death beneficiaries on certain insurance policies or retirement accounts may need to be retitled. Assignment Agreements should be signed for any private equity interests. A Bill of Transfer should be signed to transfer the Trustmaker’s personal assets to the Trust. Cars should be retitled. Always keep in mind, the specific asset must be titled in the name of the Trustee, for the Trust to protect and control the asset. One of the biggest advantages of a Revocable Living Trust based estate plan is that any assets in a Trust will avoid probate estate administration. In addition to avoiding probate, a Revocable Living Trust provides many levels of advanced planning that estate plans without trusts do not provide. A Trust based estate plan provides total privacy regarding the assets in the trust and the beneficiaries. Additionally, a Trust can be handled and settled in much less time than a typical probate estate. Another major benefit of a Trust can control and protect assets indefinitely, so beneficiaries are protected against irresponsible spending, creditors and lawsuits. In most cases, the only reason not to have a Trust, is if you simply can’t afford it. A Trust based estate plan will generally cost a couple times more than a Will based estate plan, because it requires much more effort to set up properly. In most cases with a Revocable Living Trust, the Trust will end up paying for itself many times over, due to the money your estate will save by avoiding probate. A Financial Power of Attorney is a component of most estate plans which allows a principal to appoint an agent to handle the principal’s personal affairs for him or her. There are a number of different types of Power of Attorney authorizations someone can include in their estate plan. A Durable Power of Attorney is effective immediately upon signing, and continues in effect after your incapacity. Alternatively, a Springing Power of Attorney is valid upon execution, but the power granted to the agent is not effective until the principal becomes incapacitated. A Special Power of Attorney is generally limited in scope and duration to provide authority for an agent to handle a specific transaction or series of actions related to a specific purpose. Ohio Power of Attorneys are regulated by Ohio Revised Code Chapter 1337. A Health Care Power of Attorney should be a part of everyone’s estate plan. Like the other Power of Attorney variations mentioned above, a Health Care Power of Attorney allows someone to appoint an agent to make medical decisions for them if they are ever unable to make the decisions themselves. However, this grant of authority is limited to making health care decisions. Another document that should be a part of most people’s estate plans is a Living Will. A Living Will is a document through which you can instruct a doctor and hospital to take you off life support once to licensed physicians determine that you are terminally ill and permanently unconscious. This is an important document because it allows you to make the hard, but sometimes necessary decision to take a loved one off of life support. If you don’t make this decision yourself through your Living Will, your loved ones will be faced with this tough decision. There are many types of Irrevocable Trusts. Most Irrevocable Trusts require an independent Trustee to take over control of the trust assets. Each Irrevocable Trust has a different, more specific goal. Usually Irrevocable Trusts are used to reduce estate taxes, reduce income taxes or create asset protection and protection from specific liabilities or creditors. A Charitable Trust is a Trust that contains charitable beneficiary distributions. Occasionally Charitable Trusts are used for the sole purpose of donating to charity. However, Charitable Trusts are more commonly used to reduce estate taxes. A Charitable Remainder Trust allows for reductions in estate and income taxes and also provides an income stream for the rest of your life or the life of your loved ones. Similarly, a Charitable Lead Trust is a related type of Charitable Trust. A Charitable Lead Trust provides for a series of income payments to a charity for a period of yerars, after which the assets are paid to the Trustmaker’s beneficiaries. Usually a Charitable Trust is an Irrevocable Trust. Asset Protection Trusts are specific Irrevocable Trusts designed to protect assets transferred to the Asset Protection Trust from creditors, lawsuits and other potential liabilities. There are Domestic Asset Protection Trusts which are located in the US. Oppositely, there are Foreign Asset Protection Trusts located offshore. Assets properly funded into a valid Asset Protection Trust will be immune to creditors and lawsuit judgments. A specific type of Asset Protection Trust called Ohio Legacy Trusts are prevalent in Ohio. Like all other Asset Protection Trusts, Ohio Legacy Trusts are irrevocable. Ohio Legacy Trusts have the following requirements. 1) they must be in writing. 2) subject to Ohio law. 3) managed by an independent Trustee. 4) maintain the assets for at least 18 months before any claims are brought. If these requirements, and all other requirements are met, no Ohio creditors will be able to get to the assets to collect on a debt or lawsuit. Doctors, attorney, entrepreneurs, extremely high net individuals should consider Ohio Legacy Trusts. And anyone else that may be vulnerable to claims from a creditor or litigator, should also consider an Ohio Legacy Trust as a part of their estate plan. Chapter 5816 of the Ohio Revised Code regulates and authorizes Ohio Legacy Trusts. Supplemental Needs Trusts and Special Needs Trusts allow someone to provide resources to a disabled love one. Special Needs Trusts do this without interfering with the loved one’s eligibility for SSI or Medicaid. If a disabled loved one is receiving SSI or Medicaid, a gift to them outright, would potentially disqualify them from receiving the government SSI or Medicaid assistance. However, leaving the money in a Special Needs Trust will not result in the disabled loved one’s eligibility to receive SSI or Medicaid benefits. If you have pets, then you might want to consider a Pet Trust. Pet Trusts are growing in popularity and are used to provide for the well being of your pets if something were to happen to you. In a Pet Trust, you can appoint a Trustee to care for the pets. You can also fund money into the Pet Trust to pay for the pets’ care. Any money remaining in the Pet Trust upon the pets’ death is usually paid to the Trustmaker’s children or other beneficiaries. Probate is a major hassle and unnecessary expense. It can easily go on for years and result in tens of thousands of dollars in unnecessary fees and expenses. With a Revocable Living Trust, probate is absolutely 100% avoidable, and not doing so is a mistake. Estate tax is a potentially huge expense on an estate and it is easily reduced. More importantly, Estate Tax can be reduced, if totally zeroed out, so not taking advantage of estate planning tools to minimize estate tax is a costly mistake. To be absolutely sure that your children will receive your assets, then you need to plan to avoid an unintended disinheritance. If you were to pass away, leave all of your assets to your surviving spouse, and then your surviving spouse remarried and left her entire estate to her new spouse, this would result in your biological children not receiving your estate and your estate going to your surviving spouses new spouse. This is a commonly ignored scenario which leads to bad results. Many older estate plans designed in the early 2000s or earlier, have an A/B Trust structure which does not provide a step up in basis. A step up in basis helps reduce income tax. This A/B Trust structure was common when the Estate Tax Exemption was lower and effected many more people. Now that very few people have assets greater than $5.49 million, estate tax is not an issue for many people. On the other hand, income tax affects everyone, so not planning to have the flexibility to get a step up in basis upon death, is a major mistake in many cases. It is important to make sure your estate plan meshes with your financial planning and tax planning and other high level life planning topics. Each of these planning areas is important and overlaps in some ways. We work with financial advisers and accountants all of the Cleveland, Akron, Ohio area. If you don’t have a trusted, competent financial adviser, banker, business consultant, insurance agent or accountant, please contact us so that we can put you in contact with one of our trusted team members. The best estate plans account for your planning in these other areas, and vice versa. 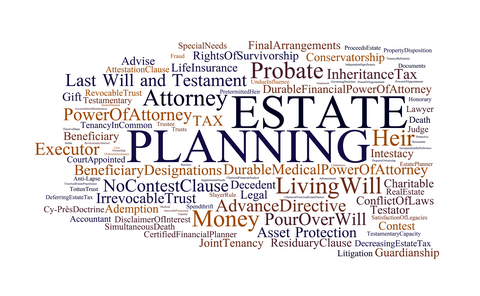 Designing Will and Trusts, and estate planning in general can be very complicated. We always do our best to simplify it, but if you would like additional information, you can browse the Ohio Revised Code for specific issues. Taxes play an important role in estate planning with Wills and Trusts, and you can find more tax information from the Ohio Department of Taxation and the Internal Revenue Service. Estate Tax and Gift Tax are always subject to changes in the future and here is another helpful link for Estate Taxes and Gift Taxes. Set up an appointment at either our Hudson Ohio law office or Brecksville, Ohio law office now! Call our Brecksville, Ohio Estate Planning Lawyer, Trust Lawyer and Will Lawyer at (440) 792-6777, or email us at brecksville@valente-law.com. Visit us at our Brecksville, Ohio estate planning, trust and will law firm at 7650 Chippewa Road, Suite 214, Brecksville, Ohio 44141. If you have any questions about wills, trusts or estate planning, or need us to help get your estate plan designed, signed and funded, call us now to get started! And if you are another attorney, or a financial adviser, accountant, banker or other professional, please give us a call to discuss potential networking opportunities. We provide free initial consultations to all new clients at our Hudson, Ohio law office at 77 Milford Drive, Suite 226, Hudson, Ohio 44236. Call us today at (330) 665-5000 or email us at hudson@valente-law.com!